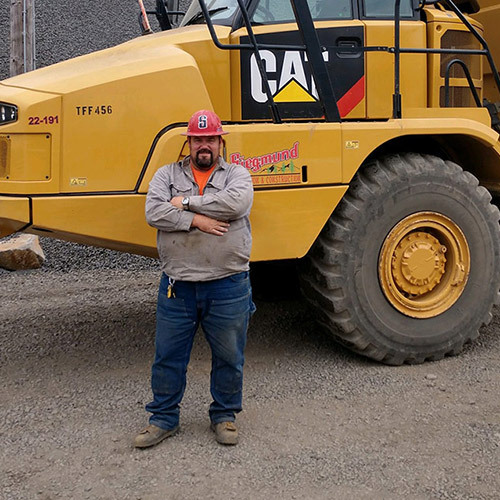 Matt Pietrok - Siegmund Excavation & Construction, Inc.
Matt Pietrok has been working for Siegmund Excavation for 5 ½ years. Matt’s first job in the construction industry was doing telephone cable maintenance for Copenhagen Utilities for seven years. He left there to do pipeline work for Emery & Sons. After several more years in construction and utilities, Matt chose to join the crew at Siegmund so that he could work in the woods. Matt was raised on farms in Aumsville and Stayton, helping out with the cattle. He played football in Jr High and High School and was a member of the FFA. He also loved hunting and fishing with dad. After school, Matt joined the United States Marine Corp as a reserve, serving the country for four years. He was also a volunteer fire fighter for 19 years with the Stayton Fire District. Today, Matt loves spending time hunting and fishing with his kids and doing mechanics and wood working in his shop.